The spirit that binds ACSians together is extraordinary. Even long after leaving school and going their separate ways, faithful old classmates will still find all sorts of excuses to keep in touch, network and continue friendships that were developed since school days. In days of yore before the advent of the internet and mobile telecommunication technologies, organising class get-togethers used to be a challenge. It took much time and effort to round up the cohort together for a class reunion as landline phones, postcards, letters and telegrams were the only means of communication then. Yet, come rain or shine, scores would turn up to walk down memory lane with old classmates and former teachers. Today, getting in touch with each other is such a breeze with the aid of Internet and social media platforms like FaceBook, Twitter, WhatsApp and Messenger. As a result, cohorts are now meeting more frequently and in larger groups for annual reunions, regular breakfasts, lunches and dinners, and even karaoke, combined birthday bashes, golf tournaments and overseas trips - all organised in incredibly short notice. 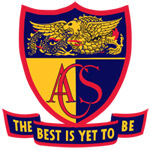 For example, the Class of 81’s successful 25th Anniversary was organised in just a fortnight some years back; this is probably the shortest lead time in ACS history for a major class reunion! And amazingly, members of the most active cohort, the Class of 56, have eight opportunities to meet each month! 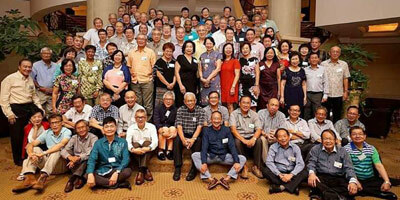 Over the years, the ACS Echo has played a small part in re-connecting ACSians with their respective cohorts through reports of class reunions and activities in the publication. 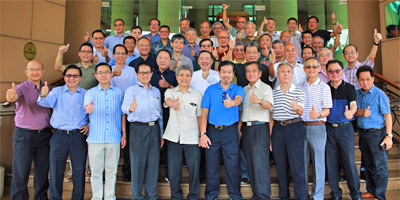 In response to requests, we are planning a dossier of class gatherings for display in the ACS OBA webpage which we hope will serve as a platform for Old Boys to reconnect with their respective cohorts. To start the ball rolling, below is a summary of what we have on record. This list is by no means complete. If you know of other cohorts who meet regularly and are not listed here, please refer them to us or let us have their contacts to follow up. We will update and post the listing online for the benefit of all those who wish to keep in touch with their respective cohorts. ⦿ Lunch every quarter. Usually on a Monday at Restaurant 21 on Rajah, Days Hotel on Rajah, off Balestier. ⦿ Lunch on the first Friday of every month at The Food Republic, Shaw Centre (opposite the Indian Food outlet). 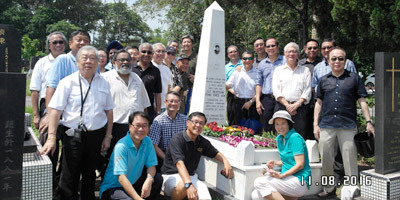 ⦿ Besides anniversaries (the 60th was celebrated in 2017) and ad hoc gatherings whenever visiting classmates are in town, members from the cohort have also travelled together to China, Myanmar and on a Mediterranean cruise. ⦿ Lunch at the Metropolitan YMCA, Stevens Road, usually on the last Thursday of each month. Besides annual reunions, the cohort also meets for a Lo Hei lunch each Lunar New Year or whenever visiting classmates are in town. ⦿ Contact: Chris Chen (chrischen26@gmail.com). 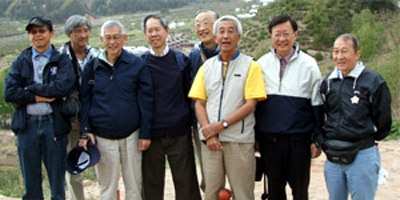 ⦿ Reunions and informal gatherings are arranged on an adhoc basis, especially whenever overseas schoolmates are in town. 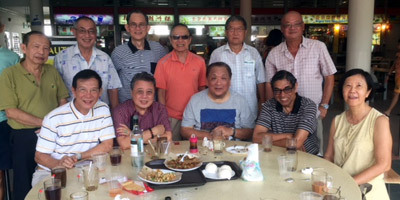 ⦿ Updates and happenings are also posted on the ACS Class of 1964/1966 FaceBook group page which is managed by Kenneth Choo San Chwee (san.londonchinese@gmail.com) and Henry Wee Cheng Swee (henrywee@gmail.com). ⦿ Informal lunches, dinners and drinks at various food outlets and pubs are arranged on an ad hoc basis through a WhatsApp chat group. 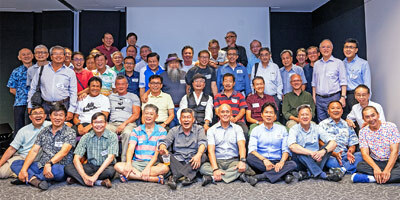 ⦿ Those interested in joining the gatherings may contact Andrew Koh (ndrukoh@singnet.com.sg; +65 9622 7522) to be included in the chat group and also in the ACS Class of 70/72 closed Facebook group. ⦿ The cohort celebrated its 50th Anniversary recently. 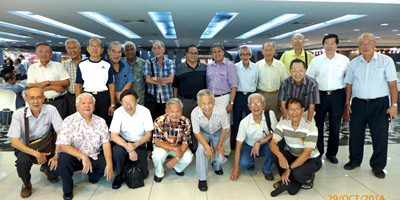 ⦿ They meet on the last Friday of every month for lunch at the Revenue House Cafeteria, Thomson Road. ⦿ The next lunch is scheduled for 22 February 2019. For more information, please contact Derek Seah (seahshd@gmail.com; +65 9857 5041. 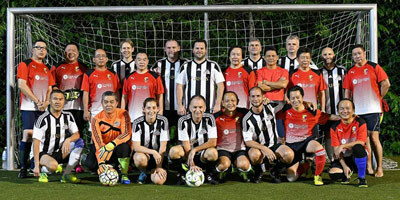 ⦿ Come rain or shine, this cohort meets every alternate Thursday evening between 7 and 10 pm for futsal friendlies on the rooftop of Singapore G Building, 25 Tagore Lane. ⦿ If you wish to join in this healthy pursuit, please contact Ian Cheah (ianeuegenecheah@gmail.com). ⦿ Lunch on the last Friday of each month at Hard Rock Cafe. ⦿ Contact: Tan Suan Wee (suanwee@gmail.com, +9819 8936). ⦿ For more details, refer to https://www.facebook.com/groups/acs1986/events/. This cohort has opportunities to meet 8 times each month! NB. It is advisable to confirm time and date with the contact person in case there are changes. ⦿ Gatherings are held on the last Wednesday of each month - lunch on even months and chit chat over coffee on odd months. ⦿ Subject to confirmation a week before each gathering, the venue is usually the Plaza Singapura Kopitiam. ⦿ The cohort will be celebrating its 60th Anniversary this year. ⦿ Contact: Eric Pakiry (eric_pakiry@yahoo.com.sg) or Tan Joo San (acsian1958@gmail.com). ⦿ The June 2018 lunch gathering is now scheduled for Wednesday, 20 June. For details, please check with either Contact Person. ⦿ Lunch at various venues on the last Thursday of every month. 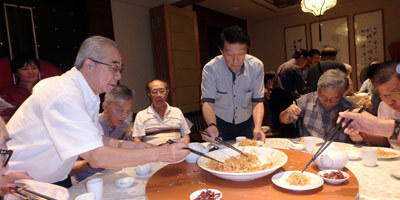 ⦿ Reunions and milestone events such as birthday bashes are celebrated every five years. The combined 75th Birthday Bash was celebrated in 2017 and plans are already in the pipeline for the 60th Anniversary Celebration in 2019. ⦿ 09 November 2019: Please keep this date free for our cohort's 60th Anniversary Reunion. Look out for more details soon. ⦿ Next Gathering: Sunday, 17 February 2019, 7pm at Teochew Restaurant Huat Kee, #02-01 Orange Grove Road, RELC Building. ⦿ Breakfast at the Tiong Bahru Food Centre every fortnight. ⦿ Besides periodic lunches and anniversary celebrations, members from the cohort have also travelled together to destinations like Xiamen, Hong Kong, Bangkok and Penang. ⦿ Contact: If you wish to join in, please WhatsApp Teo Joo Lam (+65 9633 4150) or Chan Kong Leong (+65 9818 1553). ⦿ Members of this cohort catch up over casual monthly dinners and when visiting classmates are in town. 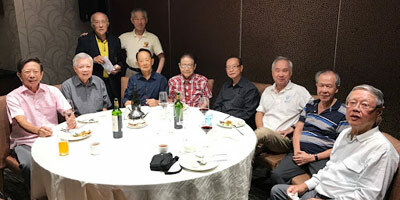 ⦿ The next dinner is scheduled for 28 February for O level boys and the next big gathering is now being planned for 2019 when the Pre-U Class celebrates its 50th Anniversary. ⦿ Contact: Ng Wei Min (+65 9183 6835; ngweimin@gmail.com) . ⦿ Lunch on the first Friday of each month at Y-Café, YMCA Orchard. Should the first Friday fall on the first of the month, the lunch will be held over to the following Friday. 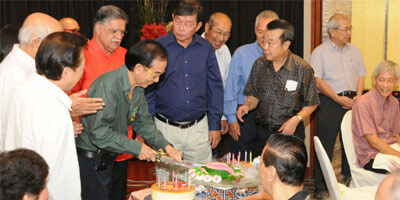 ⦿ Reunions and milestone events such as birthday bashes are usually celebrated in grand style. Next up will be in 2019 when members of the cohort turn 60. ⦿ This cohort meets quarterly for coffee to keep in touch. 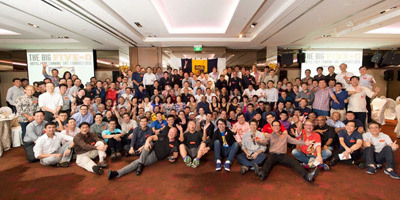 The next gathering is scheduled for 23 February, 3pm at McDonald’s East Coast, followed by a Lo Hei dinner at 6.30om. ⦿ Members of this cohort are kept in the loop of activities and happenings through the ACS Class of 81 FaceBook and WhatsApp group chats.